Hillmen P, Lewis SM, Bessler M, et al. Natural history of paroxysmal nocturnal hemoglobinuria. N Engl J Med. 1995;333:1253-1258. Luzzatto L, Gianfaldoni G. Recent advances in biological and clinical aspects of paroxysmal nocturnal hemoglobinuria. Int J Hematol. 2006;84:104-112. Peffault de Latour R, Mary JY, Salanoubat C, et al; for the French Society of Hematology and the French Association of Young Hematologists. Paroxysmal nocturnal hemoglobinuria: natural history of disease subcategories. Blood. 2008;112:3099-3106. Rachidi S, Musallam KM, Taher AT. A closer look at paroxysmal nocturnal hemoglobinuria. Eur J Intern Med. 2010;21:260-267. Rosse WF, Hillmen P, Schreiber AD. Immune-mediated hemolytic anemia. Hematology Am Soc Hematol Educ Program. 2004:48-62. Socié G, Mary JY, de Gramont A, et al; for the French Society of Haematology. Paroxysmal nocturnal haemoglobinuria: long-term follow-up and prognostic factors. Lancet. 1996;348:573-577. Lee JW, Jang JH, Kim JS, et al. Clinical signs and symptoms associated with increased risk for thrombosis in patients with paroxysmal nocturnal hemoglobinuria from a Korean Registry. Int J Hematol. 2013;97:749-757. A retrospective analysis of 301 patients with PNH showing how elevated LDH and common symptoms carry an associated risk for thromboembolism. Clark DA, Butler SA, Braren V, et al. The kidneys in paroxysmal nocturnal hemoglobinuria. Blood. 1981;57:83-89. Hill A, Sapsford RJ, Scally A, et al. Under-recognized complications in patients with paroxysmal nocturnal haemoglobinuria: raised pulmonary pressure and reduced right ventricular function. Br J Haematol. 2012;158:409-414. Rother RP, Bell L, Hillmen P, et al. The clinical sequelae of intravascular hemolysis and extracellular plasma hemoglobin: a novel mechanism of human disease. JAMA. 2005;293(13):1653-1662. Weitz IC. Thrombosis in paroxysmal nocturnal hemoglobinuria—insights into the role of complement in thrombosis. Thrombosis Res. 2010;125(suppl 2):S106-S107. Movalia MK, Weitz IC, Lim SH, et al. Incidence of PNH clones by diagnostic code utilizing high sensitivity flow cytometry. Blood. 2011;118: Abstract 1033. An analysis of the incidence of PNH clones in 6897 patients recommended for testing according to ICCS and IPIG guidelines. Borowitz MJ, Craig FE, DiGiuseppe JA, et al; for Clinical Cytometry Society. Guidelines for the diagnosis and monitoring of paroxysmal nocturnal hemoglobinuria and related disorders by flow cytometry. Cytometry Part B. 2010;78B:211-230. NCCN Clinical Practice Guidelines in Oncology. Version 2.2014. National Comprehensive Cancer Network: Myelodysplastic syndromes. http://www.nccn.org/professionals/physician_gls/pdf/mds.pdf. Accessed March 18, 2014. Parker C, Omine M, Richards S, et al, for the International PNH Interest Group. Diagnosis and management of paroxysmal nocturnal hemoglobinuria. Blood. 2005;106:3699-3709. Sutherland DR, Keeney M, Illingworth A, et al. Practical guidelines for the high-sensitivity detection and monitoring of paroxysmal nocturnal hemoglobinuria clones by flow cytometry. Cytometry Part B. 2012;82B:195-208. Kelly RJ, Hill A, Arnold LM, et al. Blood. 2011;117:6786-6792. Results of a study on the long-term management of PNH. Between May 2002 and July 2010, 79 patients with a confirmed diagnosis of PNH were studied. Brodsky RA. Advances in the diagnosis and therapy of paroxysmal nocturnal hemoglobinuria. Blood Rev. 2008;22:65-74. Hill A, Richards SJ, Hillmen P. Recent developments in the understanding and management of paroxysmal nocturnal haemoglobinuria. Br J Haematol. 2007;137:181-192. Richards SJ, Hill A, Hillmen P. Recent advances in the diagnosis, monitoring, and management of patients with paroxysmal nocturnal hemoglobinuria. Cytometry Part B. 2007;72:291-298. 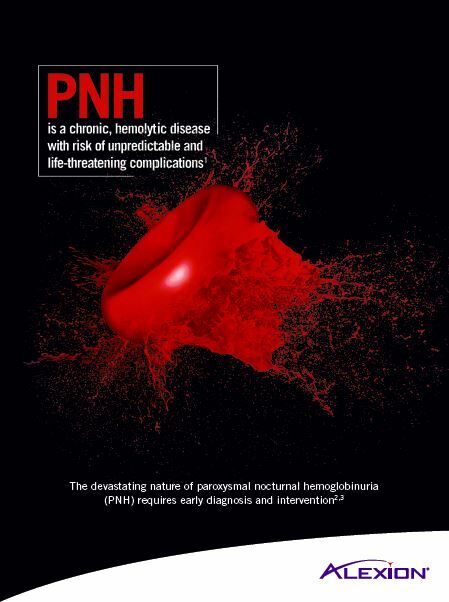 For more information about PNH and how to diagnose it, download the PNH Disease Brochure for Physicians. There is a community of experts who can help you in caring for your patient with PNH. 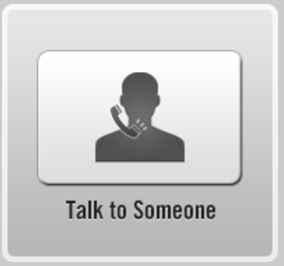 Find the right person to assist you in providing your patients with PNH with the best care possible.